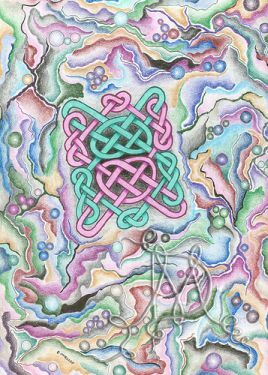 Have a look at the beauty and intricacy of Celtic Knot designs and patterns in the drawings and pictures below. 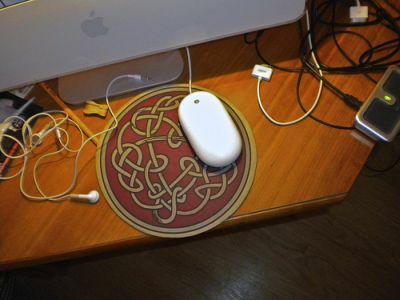 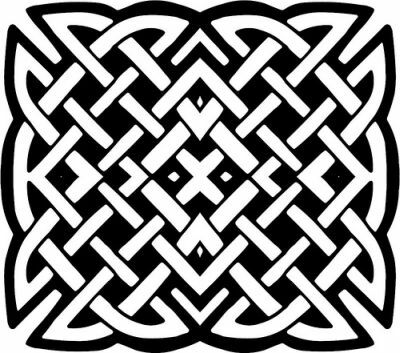 I have put together two primarily Scottish and Irish Celtic Knot galleries for you, the first focusing on the design and art and the second on some photos of use. 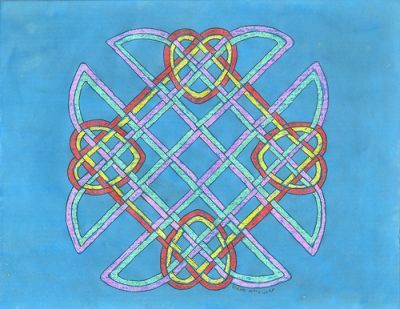 Feel free to use any of the hand drawn patterns from my good friend gmc included below. 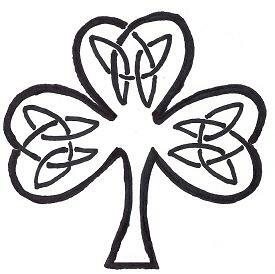 I also recommend you make sure to find out something of the interesting history, symbolism and meaning of the Celtic Knot symbol before leaving. 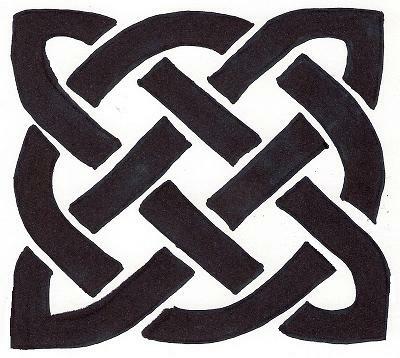 Celtic knots are complete, continuous and with no clear beginning or end. 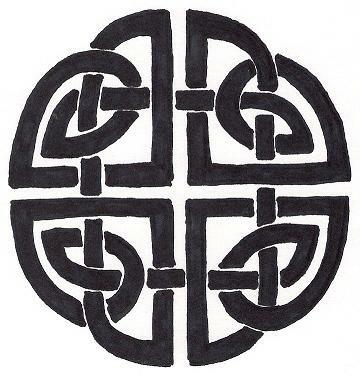 They look like strands which are interwoven. 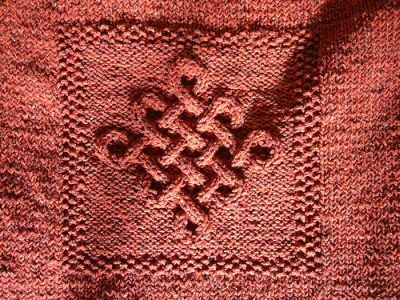 You can find different knotwork patterns consisting of one or a number for strands which criss-cross. 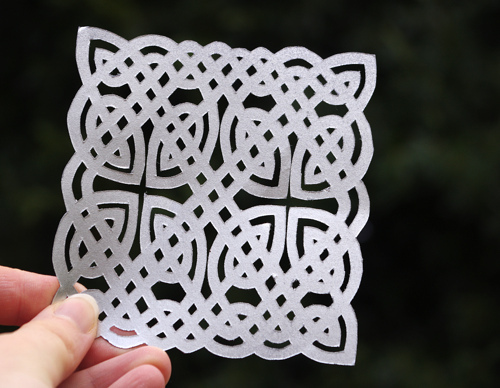 According to Celtic Art expert, J Romilly Allen's book Celtic Art in Pagan and Christion Times, (link opens a new window to an online version of the book), there are 8 basic Celtic knot designs which all use 3 or 4 strands or plaits. 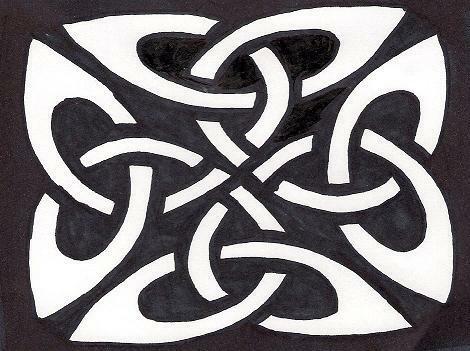 Some of the best examples of celtic knot patterns can be seen on crosses, a few of which I have included below. 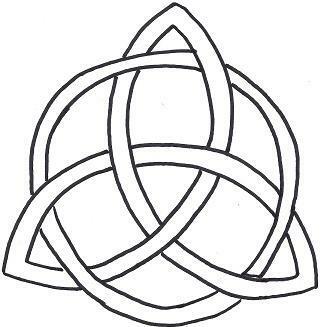 But the popularity of these symbols means that you will see them in a whole bunch of places and I include just a few examples. 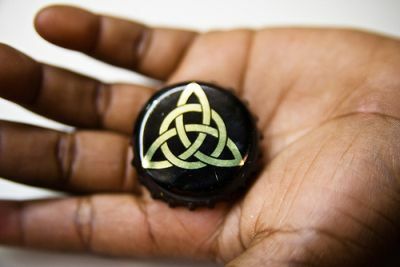 Beautiful Knot design on this Cross -photo courtesy of Infomatique. 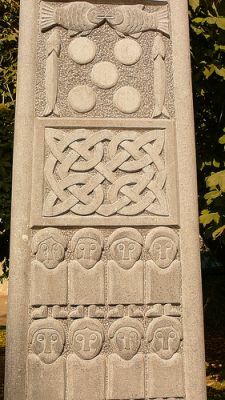 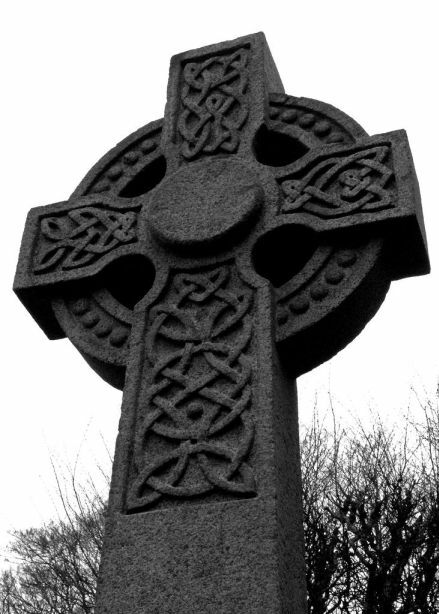 Many of the celtic knot patterns and designs above are on celtic cross images. 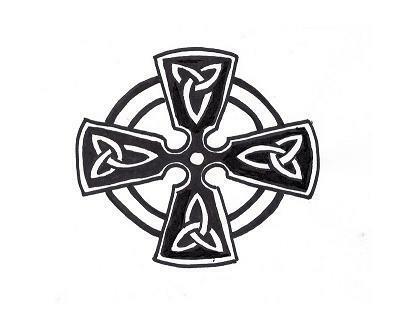 The Celtic cross in another interesting Gaelic symbol. 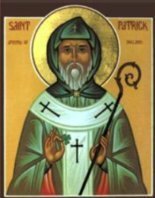 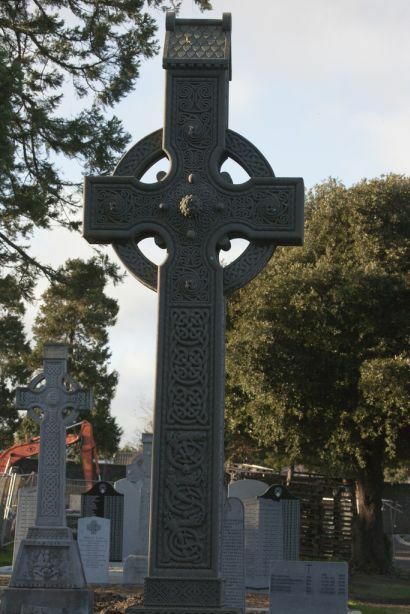 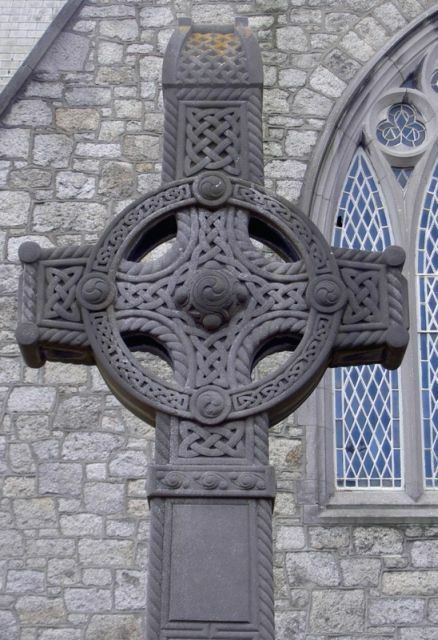 Learn something of its origin and history by checking out our Celtic Cross Meaning page and our celtic cross gallery page. 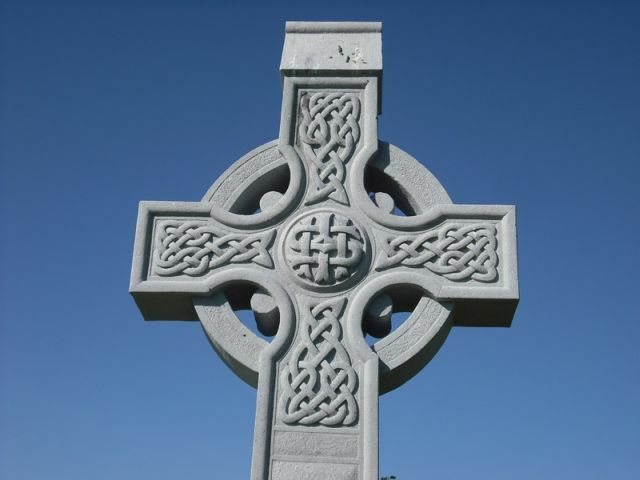 Learn about other well-known Gaelic symbols by looking at the following pages.